I was searching for some specific information about how the Verizon 3G data plan works for the CR-48. I found very helpful information at Google’s Chrome OS support pages. By all means, go through those help pages. There is much useful information to be found there. 1. How much data do I have left? 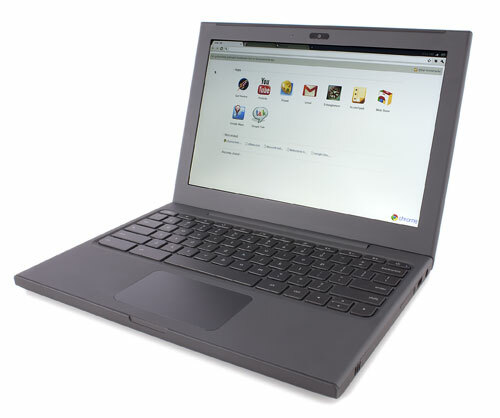 “Chrome OS transmits data over the Verizon Wireless Network only when no other networks are available. So if you’re connected to both Verizon and another Wi-Fi network, the Wi-Fi network will be used to transmit data.” This is great for keeping 3G usage down. So wherever you are, leverage Wi-Fi access, leaving 3G for those times when Wi-Fi is not available. “If you’re out of data, you’ll see the 3G gray warning icon in the top-right corner of the screen. You can choose to receive notifications whenever you’re about to run out of data.” So basically, when you run out of data, your only option is to buy more. There is no fear of “going over” on data and you will not be charged for additional usage unless you specifically purchase it. You have less than 30 minutes before your data expires. You have less than 50 MB of data left. “To resolve the problem, call Verizon at 1-800-786-8419 (when you hear the menu options, press # on your phone and select option 2 for prepaid support). Make sure to let the agent know that you’re using a Chrome notebook and that you need to manually set your modem to override failed activation attempts. Press Ctrl+Alt+T on your Chrome notebook to open a terminal window.